2019 marks our 20th REUNION! 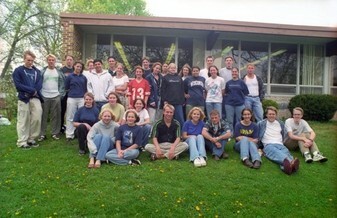 Alumni Weekend is set for April 19-21 (Easter weekend) at WA. Planning is in process and will be communicated through this website, email, and our class Facebook page. Stay tuned! Senior Class Play: "The Homecoming"
Do I speak in tongues of angels? Can I fathom the mysteries and knowledge? Do I surrender my body to the flame? Hold me, give me love.